This cozy and modern apartment is located in a characteristic mansion and sits on the highest dune of Bergen aan Zee. The modern apartment is stylishly decorated with lots of design furniture, fresh colors and warm materials. The home is beautifully situated and has a large airy living room and a luxurious open kitchen. Outside there is a large terrace with outdoor furniture, the perfect spot to enjoy summer evenings after a busy day out and about. The adjacent apartment is suitable for six people so that you could stay with 14 people in total. The characteristic building sits on a property on the highest dune in Bergen aan Zee. 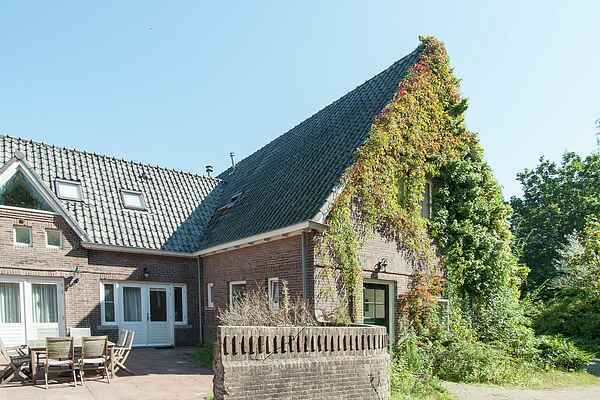 This unique location ensures that you will enjoy the gorgeous nature and also be able to walk on the beach along the North Sea coast in no time. In short, a fabulous holiday destination in a quiet and natural surroundings where young and old can have a good time. To experience great dining, just go to the restaurant located on the other side, which sits in a splendid and monumental building. A visit to the cheese town of Alkmaar is easy to reach from here by car. In other words: something for everyone.